NBA is a league of tall athletic guys who like to compete with each other to decide which one of them is better, stronger, and shoots sharper. That’s why it’s so cool to watch short guys on court who can do sometimes jaw-dropping things such as hard slamming and dunking while driving to the hoop or on a fast break, or even over big tall centers. So at rimrattle we decided to gather all those amazing things done by short NBA players at one place. Watch and enjoy! 10. Darrell Armstrong (6’1”). He’s proven that he can dunk. He once even participated in an NBA Slam Dunk contest. In this video he runs for a fast break and slams a two-handed reverse dunk. 9. Robert Pack playing for Denver Nuggets (his height is 6’1” sometimes referred to as 6’2”) runs to the hoop and dunks it as if there were no big center standing between him and the rim. 8. Derek Fisher (6’0”-6’1”) drives to the hoop and dunks over Shawn Bradley, a 7’6” center. Pretty cool. 7. And here comes Nate “the Great” Robinson, the new NBA slamdunking champion. While standing 5’9” he’s shown everybody he can dunk it much better than 7-footers. In this video he runs fast to the basket, gets a pass and slams it home as James Posey vainly tries to contain him. 4. Kevin Johnson (6’1”) dunks on a big guy without hesitation. Cool! 2. We're getting closer to the top. Competition is tougher. Finally, we decided to name the guy who might not be dunking any more in the game (or very rarely) but still remains one of the best players in the league: Allen Iverson (6’0”). In this video he fearlessly drives to the basket and slams it over Rony Seikali (a 6’11” center). 1. It was hard to decide which one of those short dunking guys is better. But watching all those cool videos again and again we come to an unanimous decision. Look at this! The ‘old man’ Spud Webb (5’7” – the shortest ever dunker in the league) reminds us why he won his NBA Slamdunk title in 1986. Now he dunks in a game, slamming over Manute Bol (this player from Africa was 7’7” tall). Spud Webb completely changed our views at small players in NBA. We got used to their quickness but no one could think they can also fly and dunk the ball before Spud Webb showed it to us. He definitely deserves the top place as the pioneer who proved that 'small guys can dunk'. Frankly, there are a couple of more dunks left behind the scenes. We hope to tell you about them in one of our next posts. Manute Bol lopes across the lawn toward his house, covering the distance in a few, giant strides. At 42, Bol's joints ache from rheumatism, but he still carries his 7-foot-7-inch frame erect and proud. His face is a little fuller than it was during his years in the National Basketball Association, when his celebrity and singular ability to block shots earned him millions. The money is gone now. His house is sparsely furnished; the furniture, slightly ragged. The rent is paid by Catholic Charities, a group that helps political refugees. That's what Bol is now. He moved to West Hartford with his wife, son and half-sister a few months ago, having finally made the painful decision to leave behind the Sudanese homeland that he loved but could not find a place in anymore. He made a daring escape, complicated by the Sept. 11 attacks. Bol never forgot Sudan during the years of wealth and fame. He couldn't, he says. That cost him nearly everything. Manute Bol was born in Turalie, a remote village in the southern part of Sudan, a nation where, over the past 18 years, civil war has left almost 2 million people dead. Most casualties have been in the south, where Christian and animist rebels battle a northern Islamic government, based in Khartoum. Southern Sudan is the home of the Dinkas, the tallest people in the world and Bol's tribe. With a flat-footed reach of 10 feet, 6 inches, Bol is so tall that the average man comes up to his rib cage. His inseam measures nearly 5 feet, and he wears size-16-1/2 sneakers. He can drive a car only if its front seat is removed. The first time he tried to dunk a basketball, he smashed his face on the rim and lost two teeth. Bol was the tallest man to ever play in the NBA, until Gheorghe Muresan, a Romanian with a pituitary gland condition, beat him out by a few millimeters. "God gave this to me," Bol says. His grandfather, Bol Chol, reputed to be 7 feet, 10 inches, was a powerful chieftain and had 40 wives. Bol's father, Madut Bol, was only 6-foot-8, but had seven wives and a large cattle herd — a sign of great wealth. His second wife, Okwok, was 6-foot-10. After having stillborn twins twice, she gave birth to Manute, whose name means "blessing from God." Unlike his city-dwelling cousins, Bol never went to school; instead, he herded goats and cattle. When he came of age, he went through the manhood rituals: his front bottom-row teeth were pried out, and deep incisions were made around his head with a knife. When he was 15, at the suggestion of relatives, he gave basketball a try. Bol walked three days from his village to join his first team. A U.S. college basketball coach, in Sudan for a summer, learned of the tall athlete and arranged for Bol and a translator friend to fly to the United States in 1982. At one point, he decided to go home, thinking other students were laughing at him in an English-language class. "I actually packed my bags and was going to the bus," he recalls. Persuaded to stay, Bol wound up at the University of Bridgeport. Games at the small Connecticut school's 1,800-seat gymnasium suddenly became packed, frenzied events. Bol blocked 15 shots in one game and averaged 22.5 points. He was Division II All-America. After one year at Bridgeport, Bol joined the Rhode Island Gulls, a pro team in the United States Basketball League. He was picked up by the Washington Bullets in the NBA draft a few months later. Many speculated that Bol's 205-pound frame couldn't take the wear and tear of the NBA. But Bol ran away with the league title in blocked shots with 397 in 1985, the second-highest total in league history. Over the next 10 years, Bol cycled through four teams: the Bullets, the Golden State Warriors, the Philadelphia 76ers and the Miami Heat. Bol essentially was a one-dimensional player, averaging 2.6 points and 4.2 rebounds a game, but he lived the NBA high life, making $1.6 million a year at one point and owning homes in Maryland, Khartoum and Egypt. He opened a restaurant with a $500,000 investment, only to see it go bankrupt. He drove luxury cars and had endorsement contracts with Kodak, Nike and Toyota. His loopy sense of humor and accented trash talking, full of hilarious malapropisms, made him popular among teammates. But he remained a stranger in his adopted land. A knee injury in 1994 relegated Bol briefly to the Continental Basketball Association and then to a league in Italy. It seemed he would just retire and enjoy his earnings. But his heart was still in Sudan. Bol visited his native country regularly — nearly every summer during his NBA career. On one of his early trips, he met and married his first wife, Atong, then 18, a southern Sudanese refugee. Starting in 1991, Bol began making visits to southern Sudanese refugee camps. Many of Bol's relatives were leaders in the Sudanese People's Liberation Army (SPLA), the rebel movement. He became an important backer of the rebels, contributing an estimated $3.5 million. Bol and his cousin Ed Bona, a former college basketball player at Fordham, met with dozens of members of Congress, warning of Muslim extremists and begging for U.S. intervention. They picketed the Sudanese embassy. Hope came in 1996, when a group of southern Sudanese split from the SPLA to sign a cease-fire with the government. A leader of the splinter group invited Bol to join a government delegation in talks with the SPLA in Kenya. Despite accusations of betrayal, Bol flew to Nairobi. "I thought I should go and support the peace initiative," he says. Talks collapsed two weeks later. Bol returned to Khartoum, where the government, promising more talks, offered him a post as minister of sport. Their offer was conditional, however. He would need to become a Muslim first. A Christian since childhood, Bol refused. As time passed with no progress toward peace, Bol began to feel used. He told refugees that there was hope, even though he didn't think so. "I have to say it for my safety," he says. A lone bright spot was his second marriage, to Ajok, a tall 21-year-old. (Bol's first marriage had soured. Atong remarried and moved to New Jersey with their four children.) Bol met Ajok through her father, an SPLA leader. In the Dinka tradition, Bol paid 150 cows for her. They soon had a son, Bol Manute. In August 1998, Bol was sitting on his roof in Khartoum to escape the heat when an explosion one-half mile away lit up the night sky, followed by 15 to 20 more. President Clinton had ordered the cruise-missile strike on a Sudanese pharmaceutical plant suspected of aiding the manufacture of chemical weapons. It was retaliation for the bombings of U.S. embassies in Kenya and Tanzania, linked by U.S. officials to Osama bin Laden and his al-Qaida network. The attack was a turning point for Bol. The government accused him of being a spy, he says. He tried to leave in 1999, but the government stopped him. His money dwindled as he supported himself and 20 relatives. On his second attempt in 2001, Bol marched to the immigration office and demanded an exit visa. An officer told him to come back with a bribe. Bol peddled his furniture. In Connecticut, friends swung into action, shipping plane tickets to Bol via a travel agent in Khartoum. In July 2001, Bol, his wife, son and half-sister, Achuil, then 9, flew to Cairo, with the idea of going on to the United States. In Egypt, U.S. consulate officials explained he needed to apply for refugee status if he wanted to bring his entire family. Bol settled in to wait. Then came Sept. 11. Bol thought of the warnings he had given to members of Congress on Islamic extremism. Bol's family departed for Hartford on March 7, nearly six months after his arrival. Today, friends are shopping around a screenplay on Bol's life in two very different worlds. He has made a few public appearances, for small fees, and plans to petition the NBA to give him an advance on his NBA pension, roughly $24,000 a year. His height remains an access pass — and his strange celebrity was underscored in one especially strange event. Fox TV's "Celebrity Boxing" show invited him to fight another oversized athlete from an earlier era, former NFL lineman William "The Refrigerator" Perry. Bol agreed to fight, if Fox agreed to air a toll-free number for the Ring True Foundation, a West Hartford-based charity he set up to benefit southern Sudanese children. He donated his $35,000 fee to the group. Fight day was odd in many ways. Other "boxers," such as Joey Buttafuoco and Darva Conger, stopped by Bol's dressing room to have their picture taken. Bol's trainer told him to keep his distance from Perry. But Bol went after him — and won the fight. Manute Bol doesn't mind being a spectacle, he says, as long as it means helping his people. Although relieved to be out of Sudan, he dreams of returning home. His ideal retirement would be split between the countries he's called home. "I want my country to be like this some day," he says. "This is my dream." It was merely an exhibition, but the Jazz largely treated it as if it were part of the regular season. Jazz forward Carlos Boozer lays the ball softly in the basket in Thursday night's win over Portland. Boozer led Utah with 23 points.Carlos Boozer scored a game-high 23 points, Mehmet Okur posted a 13-point, 12-rebound double-double and Deron Williams dished eight assists to go with his nine points as Utah rolled to a 104-90 win over Portland in its preseason opener Thursday night at the Delta Center. When a comfy fourth-quarter lead was nipped from nine points to three, coach Jerry Sloan even reinserted his regulars. The most telling sign that the Nov. 1 start of the regular season is fast approaching, however, came in the form of one Andrei Kirilenko. Back in the lineup after missing two earlier exhibitions and several practices due to a sore lower back, Kirilenko played 27 minutes and still managed to post one of his classic midseason lines: 15 points on 5-of-7 shooting from the field, seven assists, six rebounds and an eye-popping six blocks. But it wasn't just the numbers that made it seem like the holidays. Instead, Kirilenko took things one step further and delivered prime-for-print quotes to ready and willing reporters. Discussing the tight body belt he is wearing under his jersey to aid his back, Kirilenko said he can't wait to shed it after another five games or so. "I hate to play with anything on me," Kirilenko said. "Bandage. Like, wrist band. Like, knee pads. It's killing me. Like, uniforms — I would rather get naked. "Ha, ha, ha," he added with a grin. "I know tomorrow it will be in the newspaper — but that's all right." Teammates and coach Jerry Sloan judged a fully clothed Kirilenko to be more than just all right after watching him work Thursday, a return that followed a weeklong layoff to rest the oft-troublesome back. "Terrific," said Boozer, the beneficiary of one rather impressive fastbreak pass in which Kirilenko intentionally tapped the ball back to him. "He had six blocks, a hundred assists — you know, he was all over the court." "He looked great," Williams added. "Offensively he gave us a spark, and you've got to love that." If nothing else, Sloan — knowing full well that Kirilenko had only one full-fledged practice under his belt this week — was appreciative. "Andrei was fresh, had lots of bounce in his step — looked like he was ready to go," said the Jazz coach, whose club plays the fifth of its eight preseason games tonight at Sacramento. "He's like Hornacek in a lot of ways," Sloan said, invoking the name of Jazz retiree Jeff Hornacek, who played his last NBA game way back in 2000. "He's a lively guy, he's got quite a bit of endurance for as much as he does. And Jeff could walk out there in the gym right now and play on this team and probably get 10, 12 points — not working out." Not that Sloan endorses such a preparation plan. Nor, for that matter, does Kirilenko, who chalked off his four turnovers to an effort to be as active and as involved as he could. "Game shape — I need to get it back," he said. "That's why like every second I was trying to run." One of the top American guards in European basketball shockingly became available today, less than a week before the opening round of the Euroleague. After a reported falling out with the coaching staff, Mire Chatman will be replaced at Dynamo Moscow by former Indiana Pacer Eddie Gill. Last season the 6-2 explosive lead guard scored 19 points per game to go along with 4.5 rebounds, 2.4 assists and 2.8 steals last year while helping Dynamo Moscow win the ULEB Cup. The year before that he made his Euroleague debut with Pau-Orthez by averaging 16 points and 6.2 assists (tops in the league). Chatman’s head coach at Dynamo, Dusan Ivkovic is by most accounts not the warmest personality to deal with-- to say the least--and its very surprising to see that he was not able to get past his differences with arguably his most important for the sake of his very talented team, widely considered contenders to make noise this year in the Euroleague. The agent for Dynamo player Mire Chatman (Higher Vision Sports AMG) plans to travel to Moscow as soon as this weekend to discuss arrangement to buy-out the contract of the Player. Mire Chatman who in 2004-05 led the Euroleague in assists and who significantly helped the Dynamo Moscow Basketball Club win the ULEB CUP last season and advance to Euroleague this current season is now being ostracized by the Dynamo Coach for a difference in opinion and philosophy. 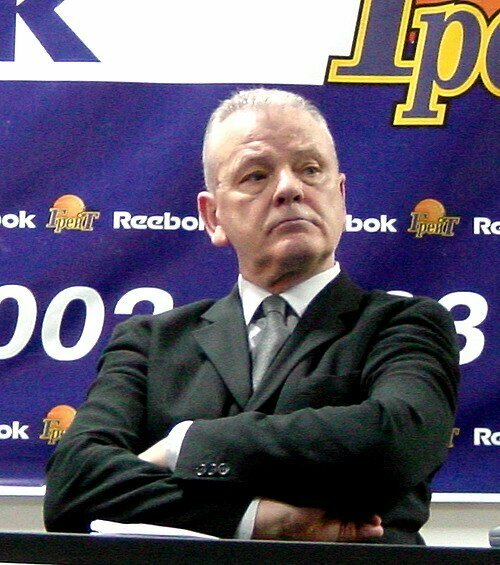 “I have had a player with Coach Dusan Ivkovic now going on 4 years and he is a great coach.” said the Player’s agent Craig McKenzie in a written statement. “However it seems now that every year a player goes through this random personal conflict with Coach Ivkovic’s that has little to do with actually winning basketball games. This year I guess it's our player. Mire Chatman has never had a problem like this before and many Clubs know he has solid character and is an extremely fine point guard--one of the best in Europe. 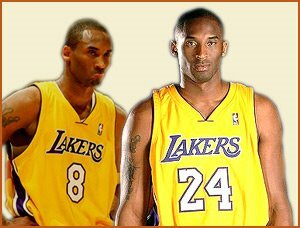 Today we begin the process of finding him another Club in Europe or the NBA where he can have continued success,” said McKenzie. Heavy speculation around Europe has already begun around where Chatman will land. There is little doubt that the timing of this move is poor, as Chatman is a player who was reportedly making around $800,000 net this year and will have a very difficult time finding that type of money on the market at the moment. This week two Euroleague point guard jobs, both in France, were filled, although neither were for anywhere close to the type of money Chatman will be looking for. One was in Chatman's former team, Pau-Orthez, where Aaron Miles replaced John Gilchrist (who promptly signed in Nahariya in Israel). Miles will reportedly receive around $30,000 a month for his services. The other job was in LeMans, where Tyson Wheeler will make around $15,000 a month. Other relatively high paying jobs that are open at the moment include Red Star in Serbia, who have between $250,000-300,000 to spend. Euroleague team Zalgiris just signed Kirk Penney as a temporary replacement for Marcelinho Machado, and could show interest. They probably don't have the budget to interest Chatman, though. Rome is another team who might take a look, but after just breaking the bank on signing Ognjen Askrabic, its questionable that they have that type of money either. As far as Chatman is concerned, there is at least one large Euroleague club who are reportedly huge fans of his already, Maccabi Tel Aviv. After being drilled by the Cleveland Cavaliers and looking terrible in their other exhibition games, it wouldn't shock anyone if Maccabi made a quick change. The problem is that they will likely be looking to replace the player that is shouldering much of the blame for their terrible start--swingman Rodney Buford-- before they cut ties with their current American point/combo guard Will Bynum, who they are reportedly very happy with. An interesting option would be to sign Chatman and play the two together, since their designated shooting guard Yotam Halperin has not exactly looked stellar so far either. Although this might seem a bit farfetched, it wouldn't be a shock if Chatman even got some looks from NBA teams looking to catch a steal at this late point in October. He could be a great fit with the Miami Heat for example, since he seems to be exactly the type of player they seem to be looking for. It's worthwhile to add that Ivkovic failed to lead CSKA Moscow to the Euroleague champions for two consecutive seasons. After that he moved to Dynamo Moscow as the team's head coach. Seems like Michael Jordan has made wrong predictions once more. Recently he stated "It's obvious that European players master the fundamentals better", "They have taken this aspect of the game to a higher level ... In the United States, we're too focused on the highlights, dunks and passes. It's not that we don't have the players we need, but putting together a team becomes difficult under these conditions". As for breingin a European tem to the NBA, "In the long term it's a good idea. The distance and the traveling would be a problem, but it's obvious that European teams are increasingly competitive. European basketball has become very strong and their players have contributed a lot to the development of the game. The United States now has problems beating them." Well, in terms of playing again European team and under FIBA rules, he may be right. But recent Maccabi's loss to Toronto Raptors by 34 points that strongest European teams are not 100% ready to play that physical basketball practicing in NBA. Don't forget that Maccabi won 3 Euroleague championships in a row and only CSKA from Moscow could stop tham last year in the Euroleague finals. Yeah, Maccabi is not curently as stron as they used to be. They lost Anthony Parker and Sarunas Yasikiavichus who are playing in NBA right now. But CSKA who is the strongest European team also lost to Philladelphia 76ers in the final of NBA Europe Live Tour (by 14 pints - 85:71). And take into account that key roles are now played in CSKA by former NBA players - Trajan Langdon and David Wanterpul. This still proves that European teams are not 100% ready to sustain through a long NBA regular season. They won't be able to recover enough to play 3 to 4 games a week at high level. 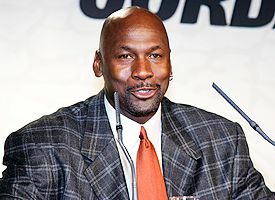 Within my memory it's the second wrong prediction made by Michael Jordan. first one was selecting Kwame Brown no. 1 at the NBA draft. Now it's obvious that Kwame is not as good as Jordan said about him. He couldn't convert his skills and talents (if any) into solid adn stable performance on court. If you have any other mistakes done by Jordan in his predictions coming up to your mind, you're welcome to share it in the comments.